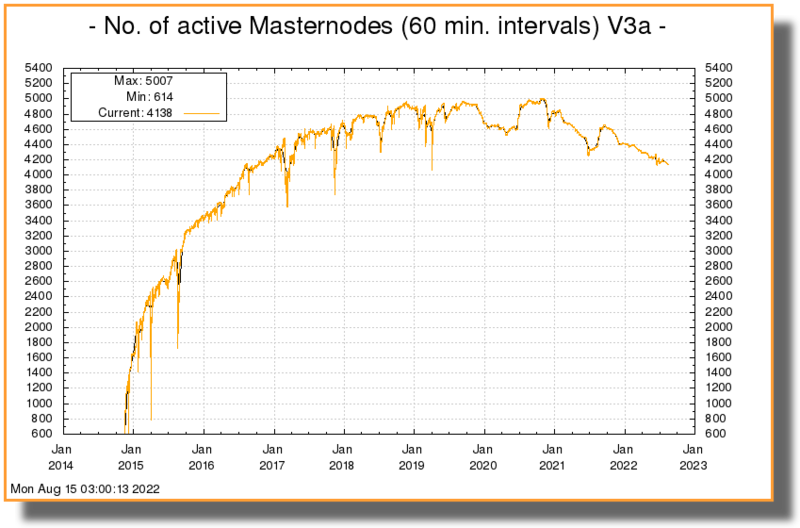 Masternodes, once unique to the Axe network, are now becoming popular as the technology is forked into other blockchains. This section of the documentation describes the principles and mechanisms of masternodes and the services they provide to the Axe network specifically. Simply put, a masternode is a server with a full copy of the Axe blockchain, which guarantees a certain minimum level of performance and functionality to perform certain tasks related to block validation, as well as PrivateSend and InstantSend, as the anonymity and instant transaction features in Axe are called. The masternodes are paid for this service, using a concept known as Proof of Service. This is in addition to the Proof of Work done by miners to secure the blockchain. Masternodes are also allowed to vote on governance and funding proposals, with each masternode receiving one vote (yes/no/abstain) on each proposal submitted to the system. Anyone can run a masternode. The objective is to have enough decentralization to ensure that no single person controls a significant fraction of the masternodes. However, to avoid bloating the network with unnecessary masternodes or encouraging reckless operators, there is one condition that needs to be fulfilled: proof of ownership of 1000 Axe. The coins don’t need to be in the masternode, but they need to be kept in a certain way that is transparent to the entire network. If the owner moves or spends those coins, the masternode stops working and payment ceases. Having so many servers holding a full copy of the blockchain and working for the coin can be extremely useful. Thanks to the reward system, there is no risk of not having enough masternodes, and the developers can rely on them quickly deploying any new decentralized feature they want to implement. This is where the true strength of Axe lies - an incentivized system of thousands of distributed servers working 24x7 means that Axe can scale more efficiently and deploy services more quickly than a blockchain run entirely by unpaid volunteers. The more masternodes, the better and safer the Axe network. As of November 2018, the Axe network has over 5000 masternodes located in over 45 countries and hosted on over 140 ISPs. The block reward is approximately 3.34 Axe, so the selected masternode receives 1.67 Axe per payment or approximately 6 Axe per month. The block reward decreases by 7.14% approximately once per year, so the annual earnings for a masternode owner is approximately 7% of the collateral, and will decrease over time as calculated here. See this tool to calculate real-time payment rates, and this site for various real-time statistics on the masternode network. It is possible to upgrade an existing masternode in-place without starting a new server and without moving your 1000 AXE collateral. A masternode was previously “started” using the masternode start-alias command based on a masternode.conf file. Under DIP003, this file is no longer used, and masternodes are “registered” instead of “started”. Masternodes begin offering services when a ProRegTx special transaction containing a particular key is written to the blockchain. ownerKeyAddr: This is a Axe address (public key) controlled by the masternode owner. It is different from the address used for the collateral. Because the owner uses the private key associated with this address to issue ProUpRegTx transactions, it must be unique for each masternode. votingKeyAddr: This is a Axe address (public key) used for proposal voting. Votes signed with the corresponding private key are valid while the masternode is in the registered set. Step 1 can be omitted if you have an existing server. Steps 2 and 3 require direct access to the masternode. Steps 3 and 4 require access to a Axe Wallet (or DMT). Step 5 requires access to the wallet actually holding the collateral. Step 6 requires a Axe balance to pay the transaction fee. Masternode paymentss in Axe version 1.2.0 are entirely deterministic and based on a simple list sort algorithm. For documentation of version 0.12.0 payment logic, see the legacy masternode payment documentation. Axe version 1.2.0 implements DIP003 and defines two sets of masternodes. InstantSend transactions in Axe version 1.2.0 are secured using a consensus of deterministically selected masternodes. This set of masternodes is informally termed a quorum and must be in a majority agreement, at least six out of ten, for a successful lock of the transaction inputs. Multiple quorums are self-selected for each input in an InstantSend transaction using the mathematical distance between the hash of each input and of the set of masternode funding transactions. 1000 Axe: Arguably the hardest part. Axe can be obtained from exchanges such as Poloniex, Bittrex, Kraken and LiveCoin. Shapeshift’s service is also an excellent way. A little time and (heart): Masternodes used to require complex setup, but tools such as axerunner now greatly simplify the process. The exact hardware requirements for Axe Evolution masternodes have yet to be determined, although some pointers can be taken from the roadmap and this blog post. It should be possible to run Axe masternodes on normal VPS servers until the block size reaches approximately 20 MB, after which custom hardware such as GPUs and eventually ASICs may be required.